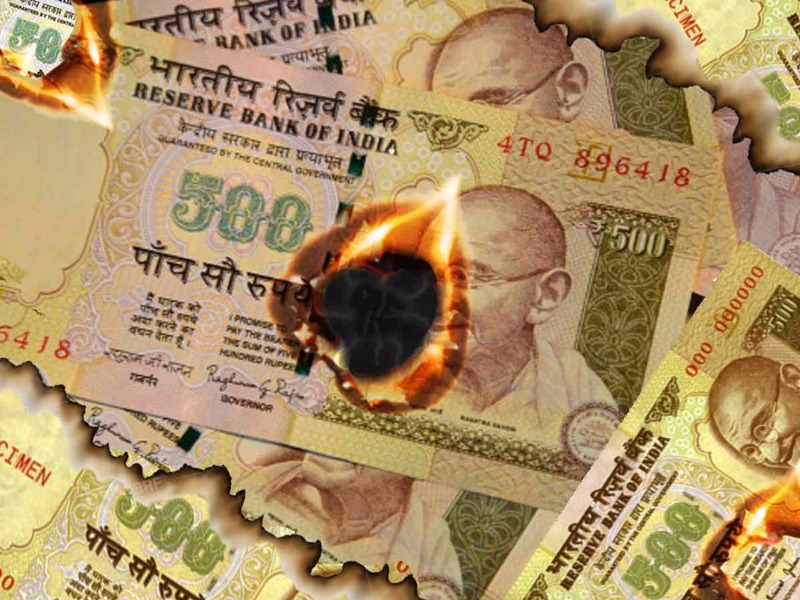 500 And 1000 Rs Notes Burnt To Ashes in Bareilly! Government’s bold plan to discontinue 500 and 1000 Rs notes to tackle corruption left everyone in awe and shock and it was clearly expected that this change would generate mixed reactions amongst the citizens. Just after a day of implementing this decision, sacks of burnt 500 and 1000 Rs currency notes were found burnt in Bareilly in Uttar Pradesh. It was reportedly found that sacks of burnt currency notes were brought in and dumped by workers of a company on Parsa Kheda road at CB ganj in Bareilly. The police acquired the remains of incinerated currency and Reserve bank of India (RBI) were apprised of this incident. This adds to the list of absurd reactions we got to witness post the demonetization.